It's 3:33am. The book is only a theme. The book doesn't explain why they're mental patients so I didn't want to sit here and tell you about the book because I'm 99.99% that's what everyone else is doing lol. IT'S ONLY A THEME. Future music videos will explain more. I don't usualy do theories on teasers because it's rather pointless, but this was a bit different LOL. I want Jin to be alive even though it fits my theory that he's dead (ffs Big Hit, this is not what I wanted). ★★ VERY BIG THANK YOU TO ★ Daniella Camorlinga★ who translated this into Spanish! I understand but still this is confusing. Like are any of these incidents real or was this just made up. But i would just congradulate them for the themes and the mind exploding mystery. Don’t forget that some of the other members faces appeared during the ripples when Jin touched the portal thing! That was some crazy detail. And I would think it represents him going in to try and save his friends, maybe? I have a short theory in Jimins part in Lie could it be that he was representing how idol's live?They smile and act happy on camera but the other way around if the camera is not there? The next album is gonna be called "Moments of happiness" and it's probably gonna be a repackage album of all their old songs. 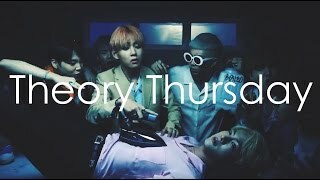 What's gonna happen with the storyline is Jin will time travel once more, back before V killed his father, when Jimin was admitted to the hospital, when Yoongi tried to kill himself, when JHope started taking pills he didn't need, when Jungkook got hit by a car, when Namjoon was helping V vandalizing stuff. Back before Jin's love interest got hit by a car, before Jungkooks girl left, before V had to leave his girl, before Jimin hurt his girl, before JHope couldn't commit to his girl, before Namjoon couldn't tell her he liked her, before Yoongi lashed out at his girl and left. Back where it all started. HYYH. Where everything started. In all the videos that are apart of the BU storyline, there is some sort of relation back to HYYH. The new album will be a reflection of their youth. Jin has always been trying to figure out where he needs to turn back time in order to fix everything, he goes back before the car hit the girl, thinking that would fix everything. He fails. He goes back before Jungkook got hit by the car, he fails. He's always trying to find someway to fix everything. He goes back to random dates where everything went wrong, like back to when V killed his father, thinking it might fix it all. It never works. The video for Euphoria is one time that he went back and changed something that happened, he influenced Jungkook to go save Yoongi somehow while influencing JHope to leave Jimin to save Taehyung. He thought that worked, but it didn't. In the end something bad still happened, Jimin was all alone. 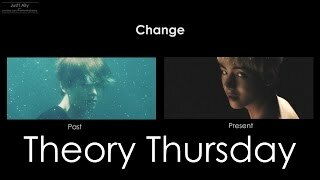 All these time travels have caused a butterfly effect, which is why there are minor changes and connections between videos like the WINGS short films and the older HYYH videos. Both the WINGS videos and the HYYH videos look very very similar but there are minor changes to them, even with Prologue, the ending scene in Prologue changed because Jin turned back time to try and fix it all. This time, Jin's gonna go back to HYYH. In the Prologue video we see many things, like examples of V jumping off the platform. In prologue it's a little thing by a pool he jumps off of, like he's writing his own history. Like he is planning out his future. There are so many more examples of this in prologue. Like the ocean, and them running around on the beach. It's all examples of their future. Maybe Jin finally realizes that so he knows where to go back, where to fix it all. If he goes back before V jumps off the thing at an old abandoned pool, before Namjoon picks up vandalism, before all of that and tells them to do something else, maybe their future will be different, maybe everything will be okay and everyone will be happy. He believes that since he now loves himself, he can help the others. Maybe once he goes back he'll influence them to love themselves in hopes of rewriting their future. In The Highlight reel at the very end Jin says this "If we could turn back the clock where should we go back to? Once we reach that place, can all our mistakes and errors be undone? Will happiness be ours to stay?" while he is saying this, clips from all their videos in the BU storyline start playing. Scenes from the WINGS short films, some from I NEED U, some from Run, and many others. But the thing is, the scenes are reversed. As if Jins going back in time. The last scene is one from HYYH. It's almost as if Jin thinks that if he goes all the way back to HYYH and stops all the bad things from happening there that it will all be fixed and that in the future everyone will be happy. But, it won't work. The butterfly effect comes into play, and minor details get changed once again, but fate still finds it's way to the boys. Another clip from the Highlight reel Jin says this "Though many seasons pass there are places that cannot be reached, yet another storm to be faced and to be weathered head on, loving without fear, hesitating and parting, merely living as the person I am." Which is his thought after going back in time to HYYH and after he realises that no matter what, the boys will go their own way, and they will meet the girls in the highlight reel, they'll love them without fear, they'll hesitate and part ways with the girls, then they'll love themselves. Once they love themselves they'll find their way back to each other, they'll become friends again, and they'll go back and look about the good times they had together on Jin's camcorder and they'll look at his polaroids. They'll go back to look at their "Moments of Happiness." This will be the time that they finally reflect on their youth, and the time that they learn that loving themselves way the key to it all along with letting time do it's own thing. Jin will realise that he never needed to time travel, that he never needed to dwell on the past and he'll put his time traveling powers to rest and he'll live in the moment. He'll learn not to dwell on the past, to live in the present, and not to worry about the future. This is why I would never forget WINGS era. Also the time I became an ARMY. What if it's the other way around? What if Jin is the last one alive? The others fell prey to the evil, and now Jin is the only one left and he's gone insane, crazy, knowing his friends aren't there anymore. So he's constantly imagining, seeing situations that are not there, hallucinating, dizzy, etc. It's because he cannot handle the fact that his friends are gone. And he can't let it go, he can't fly, he can't be free because they aren't there anymore. His reason for life isn't there anymore. For me, the puppy symbolizes the hope that V had knowing that RM cares about him and loves him, the puppy is RM. The fact that V lets the puppy go and he's locked up represents how he told the police officer that he did the vandalism alone. Maybe the fact that in the Wings short video, V is seen scratching off the graffiti alone, represents him creating a lie to the police that he didn't have anyone else with him. Even though in RUN, it was V and RM. V calls RM as an innocent friend to come bail him out but because of the guilt, RM succumbs to the alcohol and while he can subconsciously hear the phone ringing, he can't wake up. His body has given in to the alcohol and he lays there passed out, hearing this phone call that he can't answer. Hearing his friend's call for help, and he can't answer. i think the frick yes. Wait what if 'No More Dream' is called No More Dream becuase they have to stop dreaming that Jin is still alive? There's a writing in RM video on the mirror and the same writing in Jin's video on the wall i translated it and it was " you need to stay alive " or "you have to survive"
Why was this such a sad, emotional, and weirdly inspirational video? Or what if its actually the boys sins that killed Jin?? Tell me why the heck I started to cry. These theories are too much for me but I can’t stop. A few of them definitely seem to be going insane. did anyone else rage at the ads?? wow...i'm really new to bts but damn... there is still so much to learn about them. thisvideo really helps explain things. thank you! I love all of the theory videos, but it’s just so confusing. Glad I’m actually getting the hang of it though. My english is so bad. Sometime i dont understand what are you explain about, hehe. 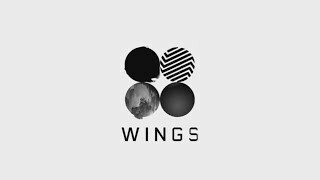 i love the connection between jiminand j-hope in wings. it touches me everytime and i always cry becayse of it. also thank you so much for posting this theory, i agree with everything you said and i loved it. @14:49 this reminds me of a scene in an ambulance, the boys could be imitating how the ER people brought jin back. the canisters RM is holding looks like those drips with liquid that they connect to the patients. Maybe Jin attempted suicide and was then hospitalised brought to an asylum and isolated from the others , which is almost as if their friend died as they can't be with him. I think Jin is actually in coma and do know how to get out. Die or live, or even if he can dies or lives. I knew that it was somewhat based off a book, because RM likees to read books. I love your theories. They’re so fresh and logical. Please please please continue, especially now that euphoria is out. Cheers! I think Jin is in a Coma? Hi just saw your theory and im going to watch the rest later, but you should check out Second Breakfast Club theorys, i like both of yours, even if i didn't finished yours maybe you'll end with the same theory as her but i actually think her theory as more chance to be true because of the book of Demian. Her theory goes pretty well with the book's story so yep. 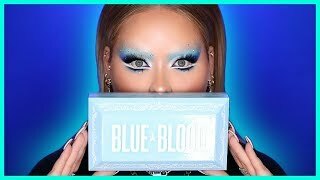 If you have time check it out she did a good job ! These are so cool...This is all head canon for me now, that the boys live in this sort of dream-like, supernatural world with every action affecting the others in some way. The comparisons you did with the memories and the changes side by side was so cool...I especially got chills watching Jungkook's. It looked EXACTLY like that was the memory he was reliving. Loved it!!! Oh, and the music was so awesome. It fit perfectly. Serious, but also mysterious and almost dream-like. Are all of this...Did they go the same path on the same effects of places? It probably indicates that he can't bring himself to let go and move to the other side and when we see him lay down and (as you said) he seems to become delusional, he then rolls over on his side and appears to fall asleep.. That could mean that him walking into the light is a dream, just a desire of his he can't do. Maybe the lyrics "Maybe I, I can never fly" mean he can't but he really wants too. Lmao I probably sound stupid and it's probably explained later on in your other videos but this is what I think :)) also srry if I have any grammar mistakes, it's really late and I'm tired so I can't really proof read it properly.. When you sit in your room for a whole 16 minutes and 34 seconds because you legitimately want to know what the wings album really means. maybe with the boys trying to fix things in fire. At the end of Jin's film, he isn't stepping into a place with a higher power(God), but maybe the boys brought him back? and he is stepping back into the real world instead of being stuck in between. Re R&V : I've always wondered about the phone booth connection! This is an interesting theory! did jin dropping the apple have something to do with him not falling into temptation or something? does it also have anything to do with the fact that jimin ate the apple but jin didn't? I feel that Jin attempted to commit suicide....and that he was nearly successful, and he was seeing a world with out him through his best friend’s eyes. He saw how all of them fell apart when they were away from one another. Like in the prologue when Jin took that selfie, and he realized he wasn’t in it...I feel that he was seeing a world with out him when they’d vandalize and hurt and eventually end up hospitalized themselves. I feel that he walked into the light so that he could come back to save them from that life. Maybe it’s Jin’s butterfly effect. Seeing as to how the others cope with their loss. I personally think that that is a possibility. I want a danger theory. Cause that I think was the beginning of this story. War of hormone being that attention and attraction and then Danger the realization of her disloyalty. And then everything goes to hell from there. Are you going to do serendipity and DNA??? AHHHH this theory is so accurate and creepy!!! I've noticed that in a lot of the photoshoots Jin isn't​ looking at the camera. To be honest, everytime I watch the WINGS short films, I get goosebumbs. I feel like I can't watch it alone because at the very start I know it has a creepy backstory. Especially the painting in Kookie's Begin really scared me when it also showed in Awake, I almost screamed 'cause I thought someone was peeking or looking at Jin. It scares me everytime. Okay but what's the first song? Before moon, it's so pretty. I just bought the book „Demian“ because I got really curious. I‘m going to read it soon. Are these memories real? Like did they happen irl? your telling me jhope is 59kg and 177cm. 10:25 if you see the short film then the phone box says “liar” why is that?